Spoken language is the most powerful communication tool we possess. Unfortunately, many of us use it like amateurs. While we may all have worked away at our written English, few of us learn how to craft outstanding spoken language. 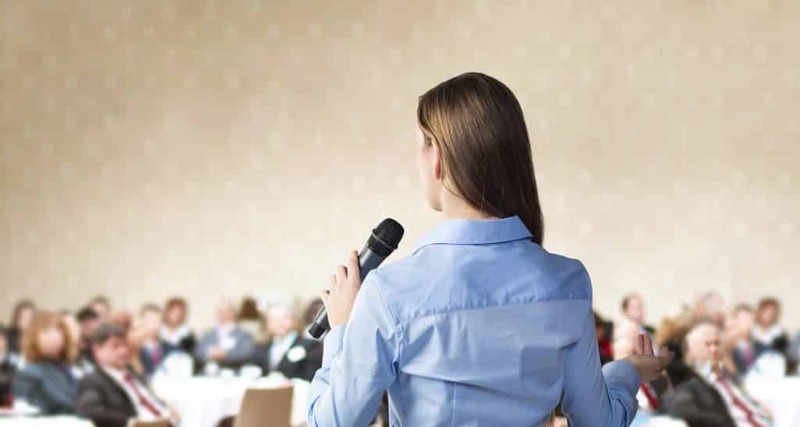 Using just a few simple rhetorical tricks, you can quickly bring your talks and presentations to life. Try these out today. To show the tricks in action, we have highlighted how President Obama used them in his Inauguration Address, further down the page. Yes, yes and yes. The brain likes to listen in threes. Try starting three phrases the same way, ending three sentences the same way, or finding a third phrase that completes the first two. See examples in red in the speech below. A phrase is either balanced or it’s not balanced. You’ll agree or not agree. Contrasting pairs create tension between two opposites, and tension keeps your audience attentive. See examples in green in the speech below. Why do questions work so well? What is it that gets people thinking as you want? How can you ask questions that bring your talks to life? Imagine if your audience could see what you are saying. Imagery is the pinnacle of spoken language. It helps you to grab your audience by the ears and drag them to where you want them to be. See examples in blue in the speech below. Geoffrey Crowther, editor of The Economist, advised his young writers to “simplify, then exaggerate”. This is sound advice for speaking in public too. If it feels like you are going too far by using the techniques above, you are probably getting it right. See examples in orange in the speech below. These few simple tools can help transform a caterpillar of a talk into a butterfly. You can use them to shape your words and phrases; to shape your stories and structure; and to shape your presentation and your performance. Do you want to strengthen your spoken communications? If you want help to brighten your talks and presentations into powerful persuasive communications that you can deliver confidently, then get in touch. We’ll help you look, sound and feel impressive so that you grab your audience’s attention. In just a few, short hours we’ll coach you to deliver clearly, confidently and with impact.